Single anti-static blower with one fan is designed to neutralize the static charges over a large area. Due to high technology used in design it became possible to produce more efficient results to solve the static troubles, even in high-speed applications. Single anti-static blower comprises an integrated fan system for increasing ionization distance and supplying enough air flow. Air flow can be adjusted to suit specific application with variable fan speed. It provides high performance and efficient ionization with fast discharging time. Single anti-static blower separates air molecules to positive and negative ions by the electric field it generates and then transport them in the direction of charged objects by the air apparatuses.It attracts in effective range the opposite charged ions of any statically charged product. That hinders the sticking of products to each other or to parts of machine. 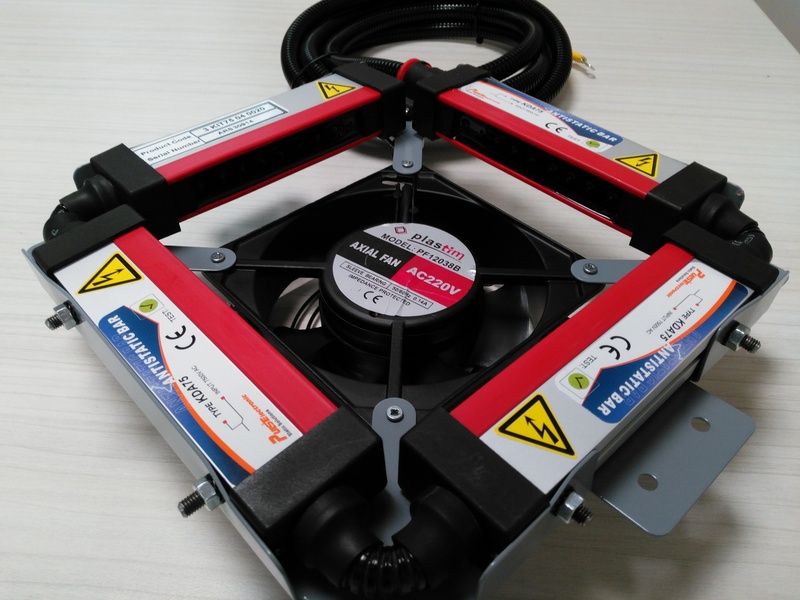 In addition, such electrical dangers as current striking, explosion, fire and dust attraction will be also prevented.Single anti-static blower does not need any calibration and because of being simple in care enhances the quality, safety, hygiene of machine and provides its longer life. It can be installed in restricted places. Single anti-static blower?s filters must be purified in defined space of time.